Robb is in his thirties and married to Ruth. In their spare time they play in a local rock band called Silverthorn and ride a Harley. The most exotic location they have travelled on the back of it is to the very top of Shetland. When he was at university Robb started to ask all of the Christians he met awkward questions about ‘what it means to follow this guy called Jesus’? He never really stopped asking those awkward questions so quickly transferred from a degree in Chemistry to Religious Studies. Since then he has felt a persistent sense of calling to ordained ministry. He became an RE teacher and taught in a comprehensive school in West Yorkshire whilst exploring his sense of vocation with the Church of England. 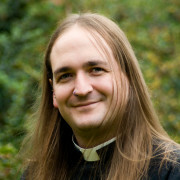 Robb trained for two years at Cranmer Hall and one year at The College of the Resurrection and was ordained in 2009. 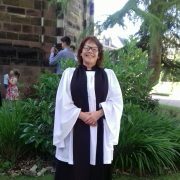 He served a curacy as part of the Morley Team Ministry and then joined us in Mixenden and Illingworth as vicar. Robb and Ruth have over fifteen years involvment in Alt:Worship and fresh expressions. They formed a band called Metanoia and went on to develop the Rock Mass liturgies using stadium rock to worship in a way that feels culturally authentic. In Autumn 2013 we began a regular Rock Mass here at Holy Nativity to engage with new congregations and new ways of experiencing God through worship. Robb’s personal blog is at Changing Worship. “He’s still asking us those awkward questions about Jesus” – Robb’s exasperated friends. Yvonne has both lived and worked locally. 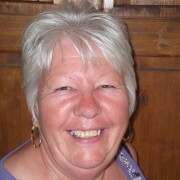 She works full time for Calderdale Council in recycling as well as part time for Mixenden and Illingworth Parish. She was ordained in 2017 at Bradford Cathedral. Tel: 01422 383535 (Evenings and weekends only). Sue is right at the heart of the community in Mixenden having lived here all of her life. She is a wiz in the kitchen she heads the team that feeds the masses at Holy Nativity’s Over 50’s Lunchclub. She is also one of the main contacts when organising a wedding. As church warden, Sue has responsibility for keeping the vicar in line. Margaret has lived in North Halifax all of her life. She has always been at the heart of the church community. Margaret is one of the main contacts people have when organising a baptism. During the lead up to the service itself she takes people through baptism preparation classes. Over the years she has got to know lots of people in the community through this. As a church warden, Margaret is also responsible for making sure the vicar turns up on a Sunday morning and is facing in the right direction!